In Himachal Pradesh, Kasauli is a cantonment and famous hill town at an approx. the height of 1800 m above sea levels. This hill town is mostly elaborated as hiker’s heaven as it can be easily covered by foot. This town was established in India during the British rule and is prominent for its colonial designed structure. It is also believed in Ramayana that Kasauli was visited by Lord Hanuman, who placed his foot at the top of this town while searching for the herbs to cure the injured Lakshmana. Moreover, Kasauli is popular for its rich green and stunning surroundings of the hills and its calm and tourist-friendly people. In Kasauli at the end of upper mall road, Sunset point is a prominent viewpoint. The point is a most visited tourist location which provides the view of pleasing sunset during the evening hours. The abundance of colors that the sunset offers makes it a wonder to view and a nice place to spend your evenings. Sunset Point is also a gateway to a simple hiking trail called as the Gilbert trail and must be tried at least one. Monkey Point or Manki Point is the tallest point at Kasauli. It is also said in Ramayana that Manki Point is the place where Lord Hanuman placed his foot when he was searching for some herbs for Lord Lakshmana. Not only this, Manki Point provides some of the beautiful views of the whole valley and the snow covered peaks of the Himalayas. The flawless waters of the River Sutlej can also be viewed sparkling from this point. This point is housed and maintained by the Indian Air Force and exceptional authorization is needed to visit this place. You can visit Hanuman Temple at the top, do trekking, and have the pleasure of some amazing views here. Established in the 1920s, Kasauli Brewery predates the Kasauli city which was established after some time. Edward Dyer, establisher of the brewery, brought the apparatus from Britain. To the weather of the area which mimics that of Scotland, this place is popular for its several single malt whiskeys and the newly brewed Indian pale ale. You can look here how a Whiskey is produced and you can taste a sample of distilled whiskey. The Mall is the center of shopping region in the town and is separated into the upper and the lower mall road. The region has several restaurants and shops and the popular Kasauli Club. This area is the busiest one of Kasauli and is visited by enormous tourists who are enticed by the several dining and shopping locations here. The region has tea shops, bookstores, cafes, tea shops, restaurants, and many more. You can do a lot of shopping, eat some Tibetan Food, plan a Bonfire here and can also give a visit to The Christ Church. Christ Church is situated between a quaint place of deodar and pine trees and was established in 1853 by the British. Because of its outstanding neo-gothic structure and several stained glass windows, Christ Church is one of the best most visited places in Kasauli. The tranquil environment provides most visitors to feel a moment of calm when they visit this church. You can spend some quality time in a peaceful atmosphere, traverse The Mall Road here, and near bus stop, there is a Kasauli Baptist Church also. This trail is an ideal way to tour the nature of Kasauli. Situated off the main road, it goes nearly one and a half km and cuts away through the valley. Gilbert Nature Trail is not so visited by more tourists and hence, is very less crowded. When nature lovers traverse across this path, they can enjoy flora and fauna of Kasauli at a close range. You can watch birds here, do trekking and can also take some rest at nearby rest houses. Constructed in 1926, Krishna Bhavan Mandir is perfect of a great structure that merges the Indian and the European design structure. The Mandir (temple) is prominent for being built like a church and is a famous tourist place in Kasauli. This place is one of the vital pilgrim locations in Kasauli and is mostly visited by enormous tourists. You can spend some time at the temple sites and can also attend the evening aarti. This peaceful city is one of the stopovers of the popular Kalka Shimla Valley line. 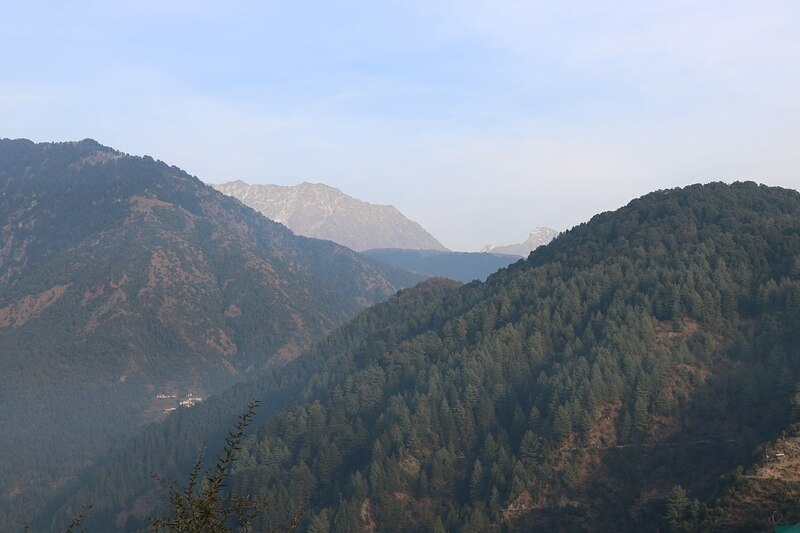 The major charm of Barog is the pine deodar forests. This place is an ideal weekend getaway from Punjab, because of its closeness to Chandigarh. People can enjoy a relaxing vacation here in the views and desirable climate. You would be impressed by Suketi Fossil Park, Choor Chandni Park, Dolanji Bon Monastery, Graveyard of Barog, and Barog Camping Grounds. A prominent pilgrimage location in the north, Shri Baba Balak Nath Temple is one of a sort temple as this is the major temple of the god here. Here, the god is well known to offer blessings to childless couples and a visit here is believed especially hopeful for them. To visit this shrine, you need to climb some stairs. Baba Balak Nath Temple is famous for religion, architecture, and photography. Gurkha Fort, an emblem of Gurkha’s valour and courage, is a heritage that should be visited by everyone who visits Kasauli. Gurkha Army Chief Amar Singh Thapa built this fort in 1900 AD to fight against the British Army. Today, this fort is used as a training point for the Gurkha regime. Gurkha Fort offers some amazing views to the adjacent forests and also gives a view back in history. You can visit the museum of Gurkha Fort and traverse through the fort. In the Himalayas, Kasauli is prominent for its several simples to average hiking trails. Kasauli is visited by enormous people throughout the year because it is one of the famous hill towns. Kasauli is mostly visited during the summer months because the temperature is quite desirable and so, the above-listed places can be proved to be the best.